An expressive Airedale Terrier Pet Portrait. 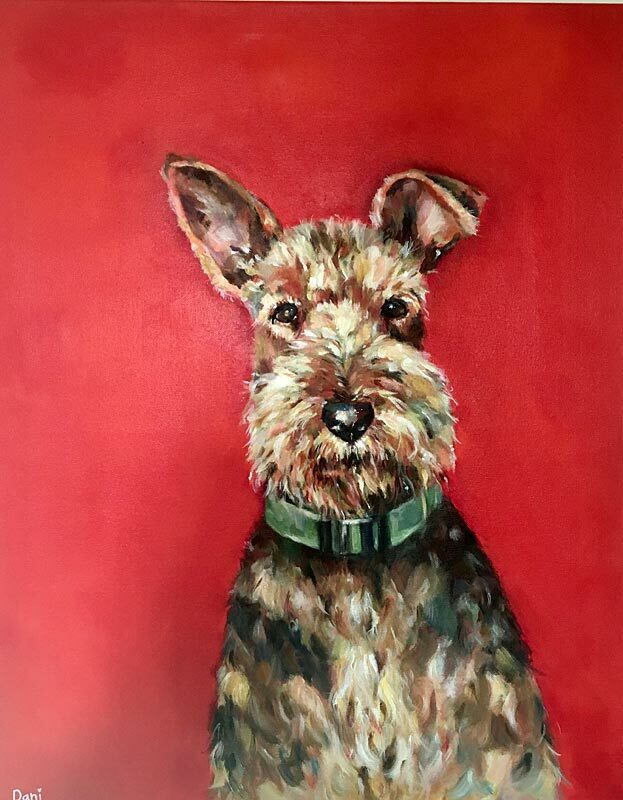 He is painted on a vibrant red acrylic ground. 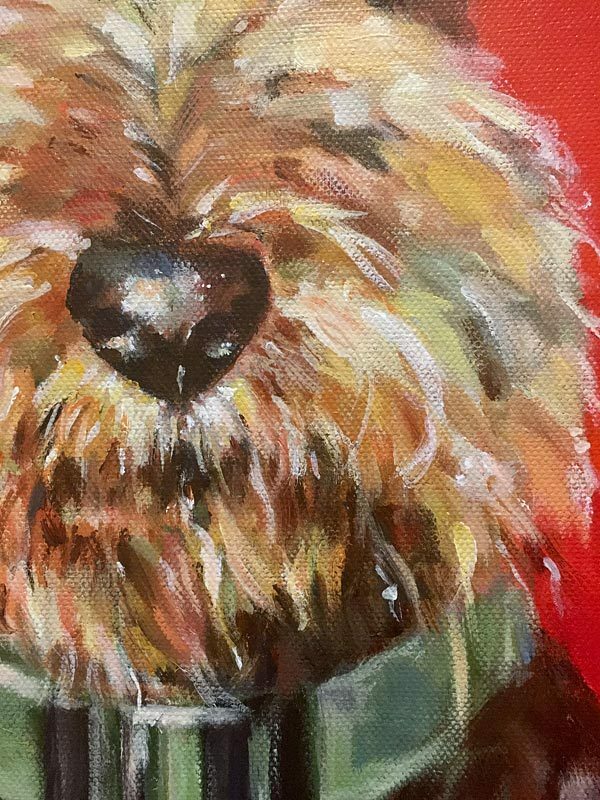 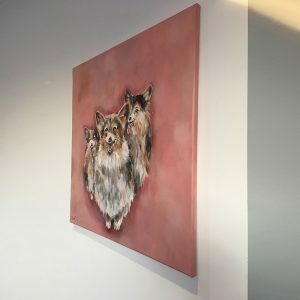 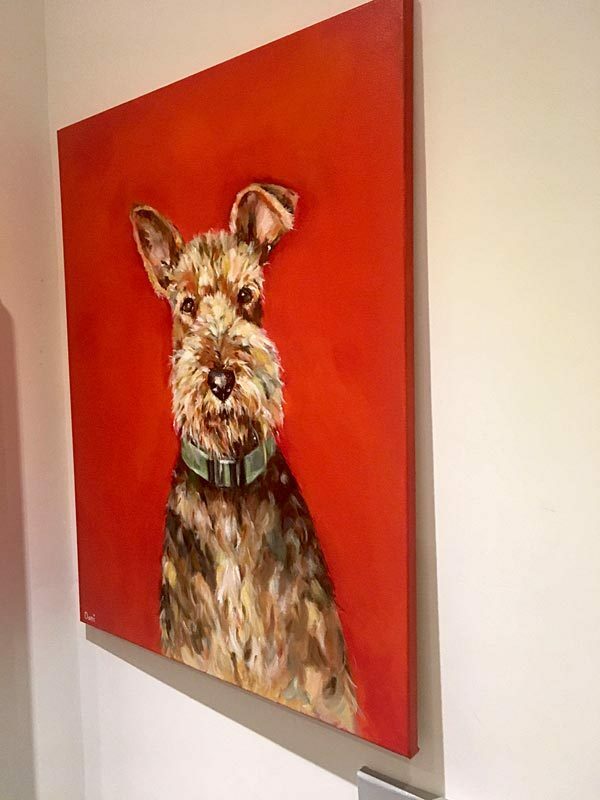 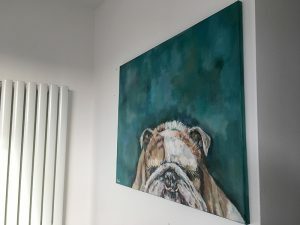 This Airedale Terrier dog painting is a contemporary piece of artwork for any modern home. 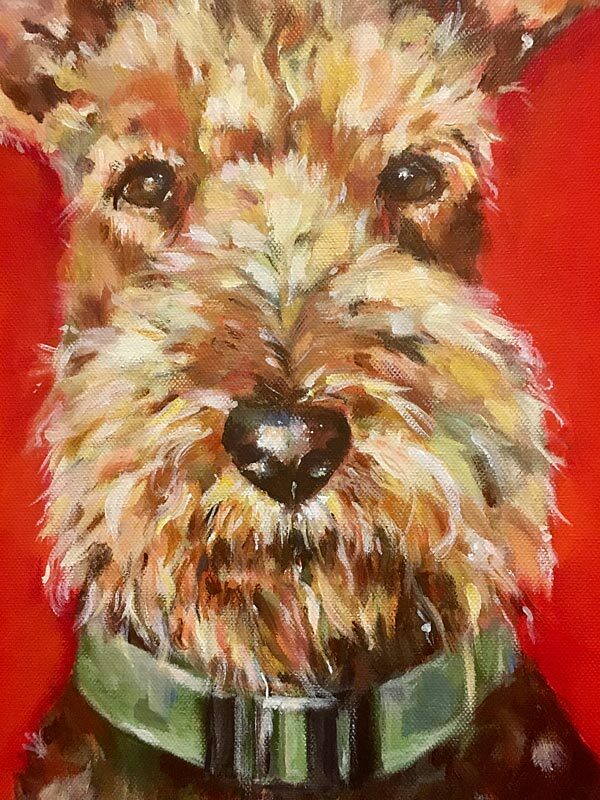 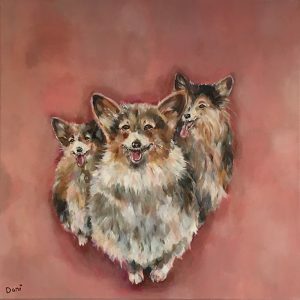 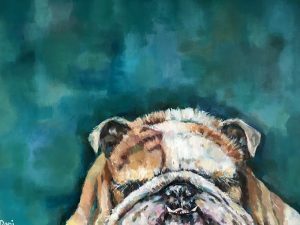 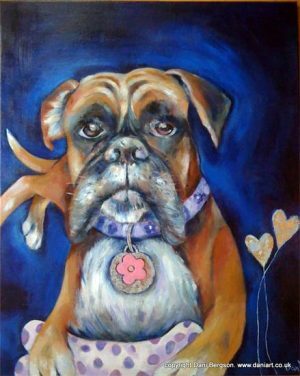 Please contact me for further information or to paint your furry friend.